In a bid to win contract for development of 750 MW – world’s largest solar power plant in Rewa, Madhya Pradesh, India, tariffs for selling solar power from the plant were quoted as low as 2.97 kilo-watt per hour (1 unit power), which is a record low in the country. This bid amount crushes the previous lowest solar power tariff bid of Rs. 4.34/ kWh for a 70MW Bhadla solar power plant run by NTPC in Rajasthan. Renewable energy producers, Mahindra Renewables Pvt. Ltd, Acme Solar Holdings Pvt. Ltd and Solenergi Power Pvt. Ltd from Sweden bid as low as Rs2.979 per kWh, Rs2.97 per kWh and Rs2.974 per kWh respectively. Owing to their record low quotes, the companies won contract to build 250MW power plants each. According to data gathered by Ministry of New and Renewable Energy (MNRE), India’s total renewable energy installations have crossed 50GW out of which 9GW is solar plant installations alone. While India is on course to meet its renewable energy goals of 175GW by 2022, these companies have really set the pace to make solar energy more affordable in India. Under contract of the 750MW Rewa solar park – a joint venture of Solar Energy Corporation of India (SECI) and Madhya Pradesh Urja Vikas Ltd., a 5 paisa per annum increase in tariff was listed for 15 years. According to this, a levelized annual tariff of 3.30 per kWh has been finalized for the period of Power Purchase Agreement (PPA). This is going to be the first time in history that the tariff of electricity based out of solar power plants is going to be at sub (Rs) 3 level. We could achieve this feat only because of our strength of knowledge and understanding of the domain and our belief that benefit of all technological innovations should ultimately be passed to the ultimate user. Reportedly, the Rewa solar power plant is scheduled to be completed by April 2018 for a cost of about Rs. 5,000 crore. 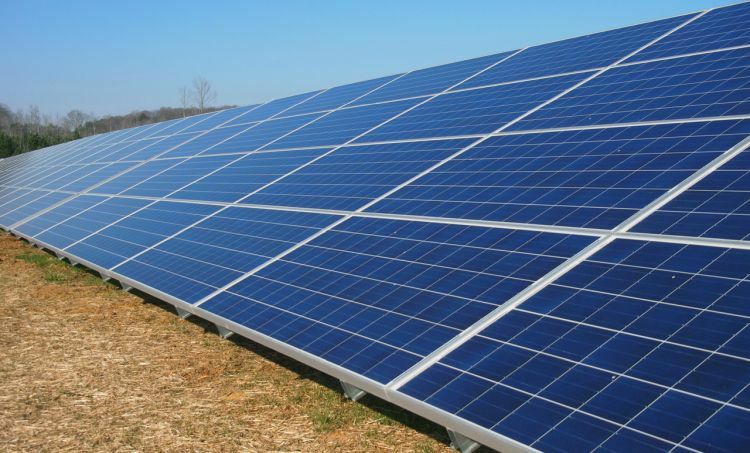 750 MW Rewa solar park will be built on a 1,500-hectare (3390 acre) land. Delhi Metro has contracted to purchase most of the power from the unit with Madhya Pradesh utilities buying off the remaining produced power. With solar power cost supposedly plummeting down to sub Rs 3 per kWh, India is steadily closing the gap between the power cost from thermal plants and solar plants. Reports suggest the average price of India’s largest coal-powered power plant owned by NTPC Ltd. is Rs 3.20 per unit, which is slightly lower that 3.30 committed from Rewa solar power plant. As innovation gathers pace across the solar power sector and cost of infrastructure decreases, experts expect, tariff of solar power per kilo-watt hour to drop further in the future.